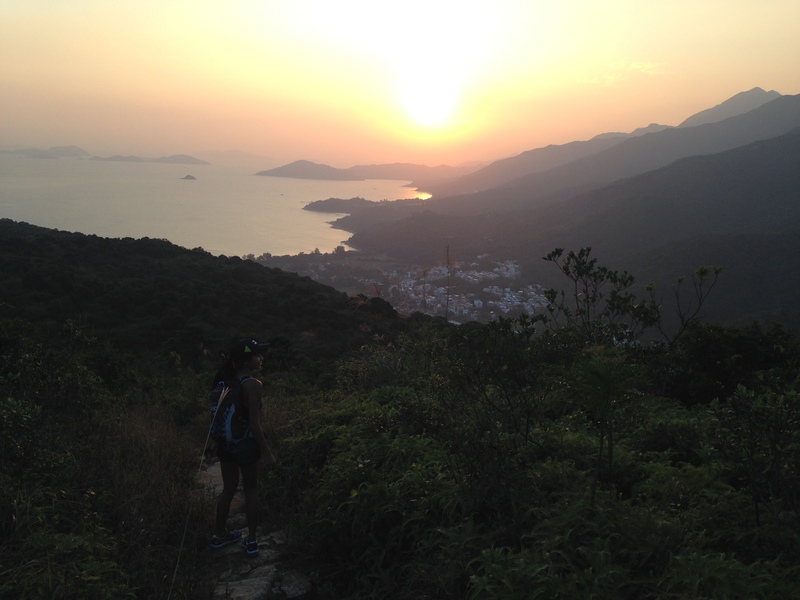 Compared to a few other trails in Hong Kong which start and end in the middle of nowhere, taking hours to get there and back, Lantau Stage 12 is an easy in-and-out affair that starts at the ferry pier and ends in a long, chilled out beach where you can grab delicious food and rent water sports equipment. 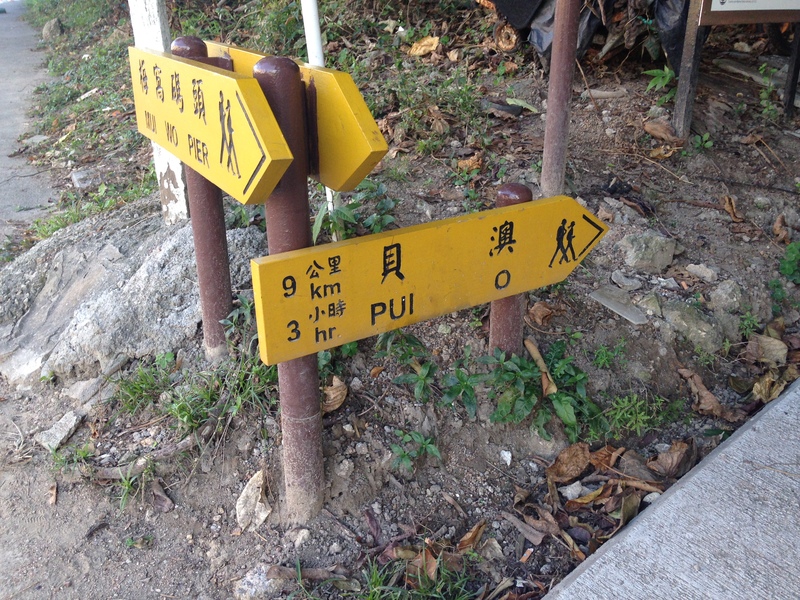 We did the hike backwards (it’s supposed to start at Pui O beach and end at Mui Wo), but that’s because we arrived a bit late and didn’t want to head to the beach first and then return in the dark. It also made more sense to us to hike from the ferry pier to the beach rather than take a bus to the beach and then hike back to the pier… But it’s up to you! Grab water and other essentials at Wellcome/7-11 by the pier. 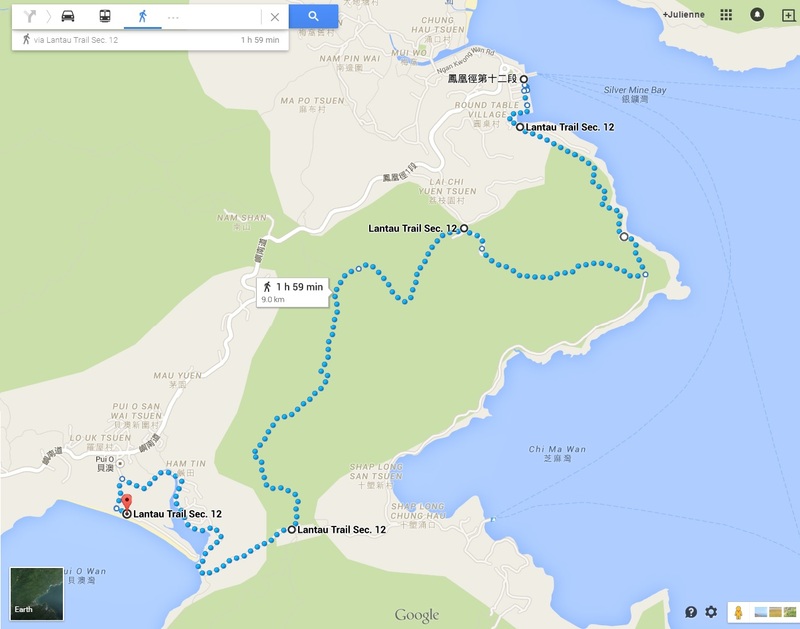 Get to Mui Wo from Central via Ferry Pier 6. Click here for the sailing schedule. 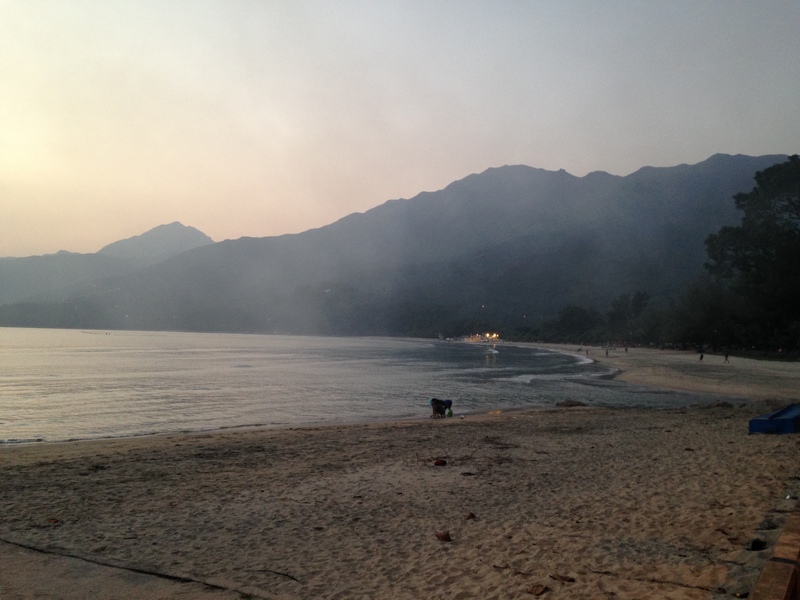 Get to Pui O beach from Mui Wo ferry pier via bus route 1 or 7P; from MTR Tung Chung Station to Pui O you can take buses 3 or 3M. From the ferry pier just turn left and keep going until you see the yellow arrows marking the start of Lantau Trail Stage 12. Beauty! This trail was so much fun it didn’t feel like 9km at all. They also provide camping equipment, cater and set up weddings,rent out watersports equipment, etc…. Have a great hike, folks, and let me know how it goes! 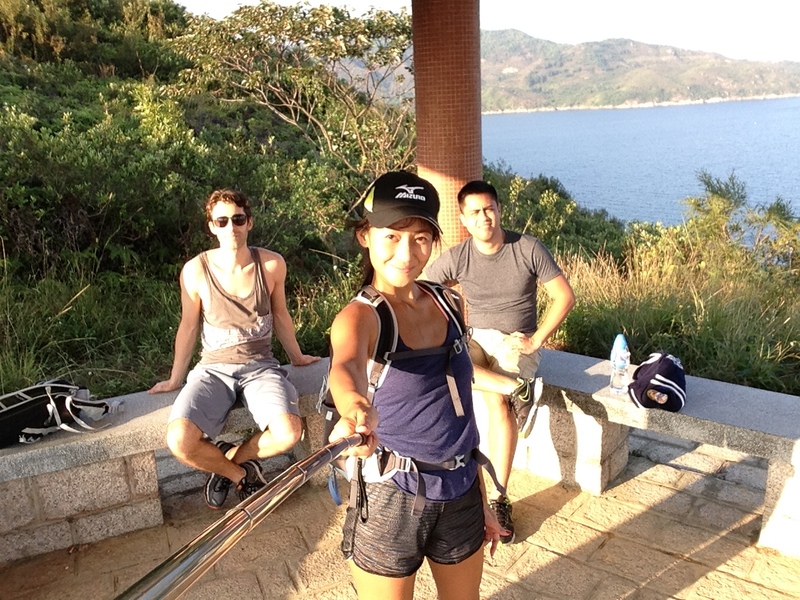 Totally agree with you – this is a very nice hike! Plus a very lovely sunset!